Reduction in height of glass-and- steel addition insufficient to gain from the existing building. 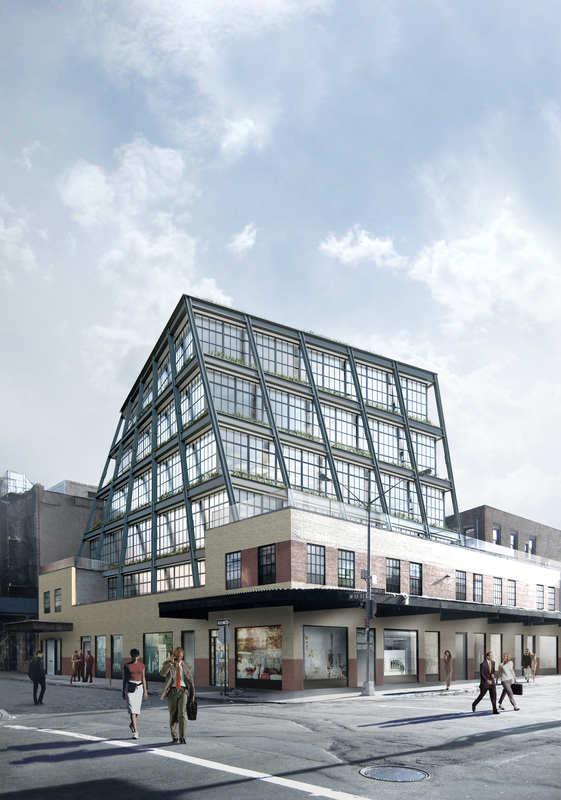 On April 12, 2011, Landmarks considered Taconic Investment Partners’ revised proposal to build an addition on top of a low-rise building at 837 Washington Street across the street from the High Line in the Gansevoort Market Historic District. Taconic first proposed adding a seven-story masonry column wrapped in a torqued glass and steel tower. Landmarks praised the design, but took issue with project’s scale, which would have added six stories of height to the existing building. 7 CityLand 170 (Dec. 2010). Taconic returned to Landmarks with a scaled-down proposal that reduced the height of the addition from seven to five stories and added more windows to the rear masonry tower. The revised design only added four stories of height to the original building and reduced the masonry tower’s footprint. Historic preservation consultant Bill Higgins, speaking on behalf of Taconic, described the project’s materials and design as “an industrial vernacular” that paid homage to the surrounding area and nearby High Line. Architect Morris Adjmi testified that the reduced structure was appropriate for the district. Adjmi argued that the addition’s torqued steel “exoskeleton” related to the High Line, and pointed out that the floor plates became smaller as the building rose and receded from the existing building. Chair Robert B. Tierney suggested that Landmarks was close to finding a consensus and recommended that Taconic work with Landmarks’ staff to reduce the addition’s scale and return at a later date. LPC: 837 Washington Street, Manhattan (11-3143) (April 12, 2011) (Architect: Morris Adjmi Architects).